The Center for Public Health Practice was established in 2014 and its mission is to support excellence in public health practice. Increasing local public health value in Indiana through public health accreditation preparedness. Providing technical assistance to local health departments around community-identified public health needs. Enhancing workforce capacity building through authentic, community-centered learning opportunities for public health students. The Center for Public Health Practice fills a critical void in public health funding and capacity in the state by providing these services. In 2016, Indiana was ranked 49th nationally by America’s Health Rankings for public health funding available in the state. Public health funding allows states to proactively implement preventive and educational programs for improving health contributing to decreased mortality from preventable causes of death such as cardiovascular disease, diabetes and cancer. The Center for Public Health Practice has assisted over 35 counties in Indiana with technical assistance and consulting services. The Corps is a volunteer group of students who engage in service-learning experiences with partnering health agencies. 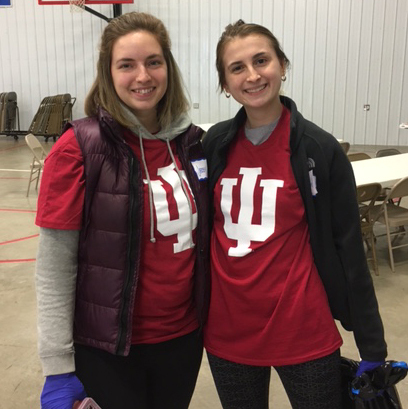 The IU Student Enteric Response Team (SERT) is comprised of MPH Epidemiology students investigating enteric outbreak cases and response in Indiana. Students interviewing cases, record case interviews, ensure isolates are sent to the ISDH laboratory, notify state and local authorities of potential outbreaks, and educate patients on prevention and control measures. Insights & Innovations is our monthly webinar series for public health practitioners. We've covered the Culture of Health and the 12 Domains of Public Health Accreditation. Our current series focuses on Creating Opportunities to Achieve Optimal Health. 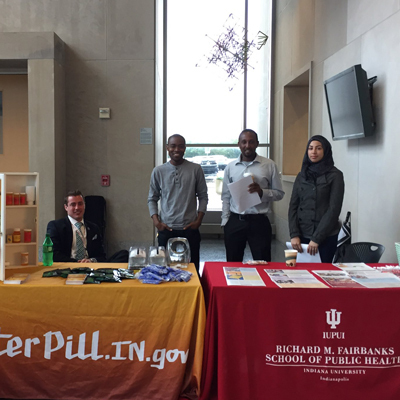 The IU Richard M. Fairbanks School of Public Health hosts drug take back days at the IUPUI Campus Center. Students, staff and faculty can bring in old or expired prescription or over-the-counter drugs for proper disposal. Local health departments can receive technical assistance in their jorney to public health accreditation from the Fairbanks School of Public Health.